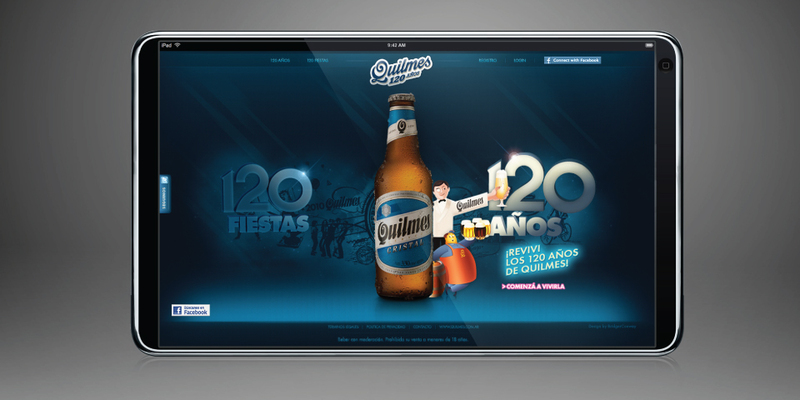 BridgerConway developed a website to celebrate Quilmes 120th anniversary and implemented a digital campaign called “Who offers their house?, using social networks as a platform. 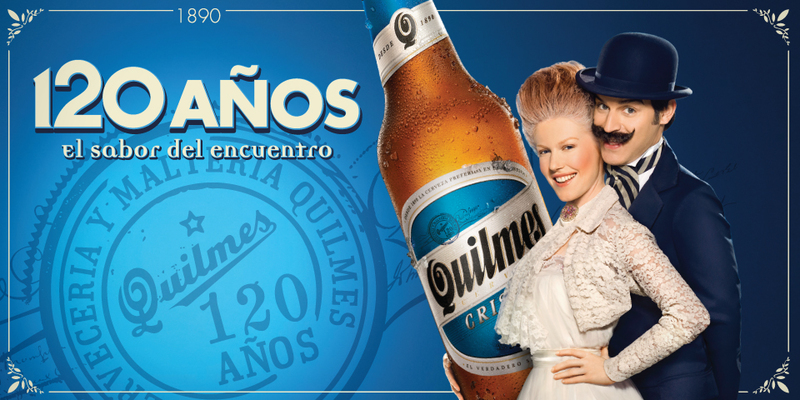 Quilmes Brewery is one of the main beverage companies in the region. It produces, distributes and markets beer, soft drinks, flavored waters and tonic waters in alliance with other leading companies such as PepsiCo and Nestle. 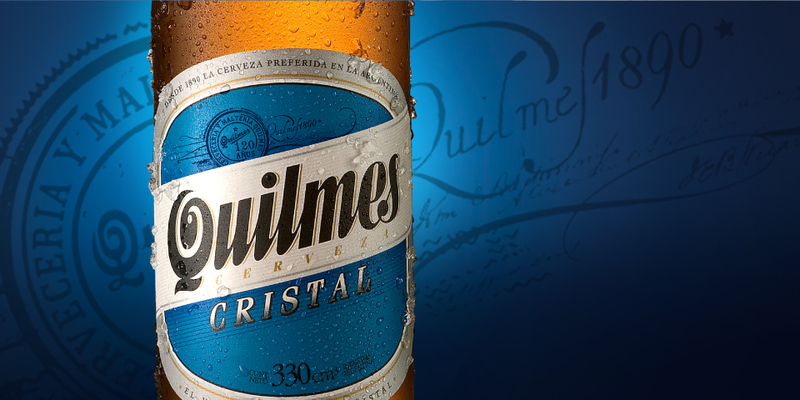 Quilmes is part of the Anheuser-Busch InBev Group, a world leading brewery and one of the 5 top consumer goods companies worldwide. It has offices in Leuven, Belgium. 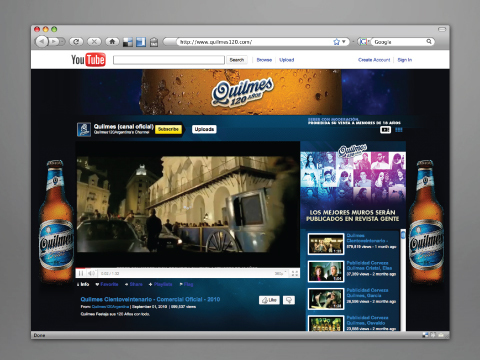 Anheuser-Busch InBev has over 300 brands and operates in more than 30 countries. 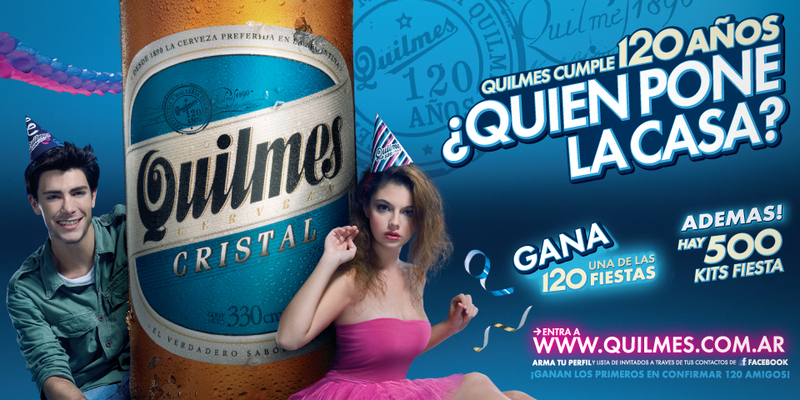 For Quilmes 120th anniversary, the company needed a high impact national campaign in order to motivate visitors to its website and show them the story of the brand on the site. 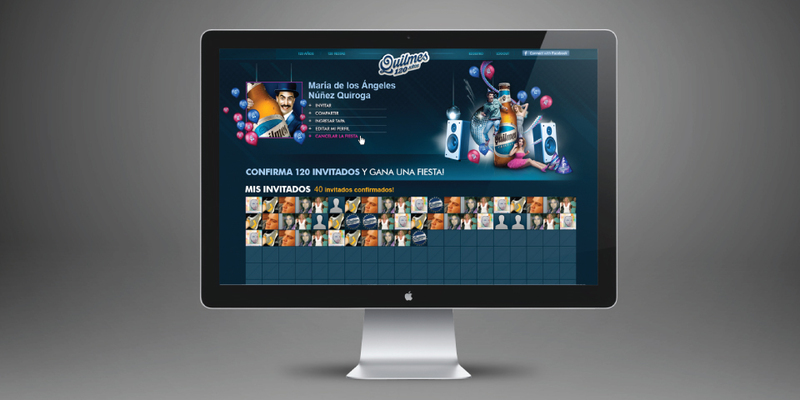 A multimedia calendar was developed that allowed users to relive the history of the brand in different formats, as videos and images. The campaign was reinforced with a 2.0 strategy on social networks, such as Facebook, in order to generate presence and virility. There were 40 thousand people at the celebration. Three hundred thousand users relived the brand history. And 1.5 million people participated in the promotion. The brand community increased by 70% on Facebook and Twitter. 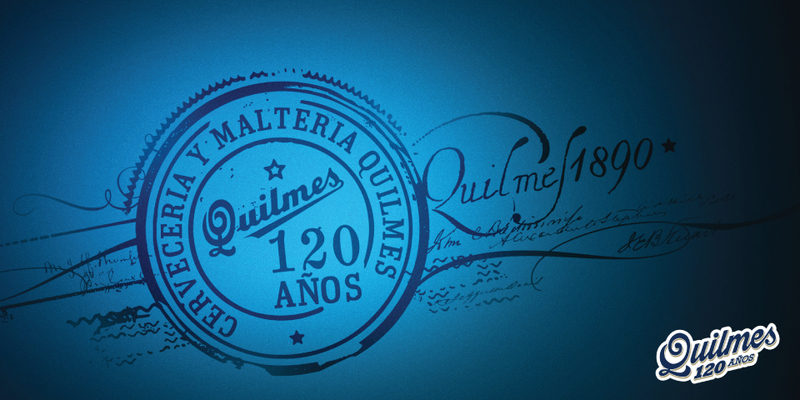 In the second stage, a campaign called “Quilmes Anniversary Wall” was created on Facebook. This consisted in the generation of a wall with user images. These walls were published at a large scale.